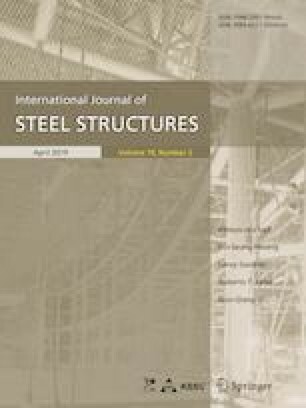 This paper reviews the design rules of single shear screwed connection of cold-formed steel structure in the current design specifications, such as North American, Australian/New Zealand, European, British, Japanese and Chinese, and points the shortcomings of Chinese design specification and the mistakes of some published reports on the shear resistance of single shear screwed connections. A total of 194 single screw overlap sheared connections, which were made of steel sheet manufactured in China and were tested by Chinese scholars since 1993, and the detailed test data are introduced. Using the design specifications mentioned above recalculated the normal connection shear strength of the 194 connection specimens, and evaluated the accuracy of six design specifications under the different failure modes. The Japanese design manual is too conservative to estimate the bearing capacity of the single shear screwed connection under any failure mode. For tilting or tilting and bearing failure mode, the accuracy of the AISI S100 and AS/NZS 4600 diminishes and sometimes tends to be unsafe; however, the Eurocode 3, BS5950-5 and GB50018 are appropriate. As to screw shear failure mode, the AISI S100, AS/NZS 4600, Eurocode 3 and BS5950-5 are appropriate but GB50018 tends to be unsafe. The paper gives a new design formula as a supplement to GB50018 that can accurately predict the bearing capacity of single shear screwed connection in all failure modes. Finally, the Group Effect of multiple-screw shear connection was investigated based on 38 multiple-screw connection specimens. The online version of this article ( https://doi.org/10.1007/s13296-018-0144-5) contains supplementary material, which is available to authorized users. The authors gratefully acknowledge the financial support of the National Nature Science Foundation of China (No. 51508029).